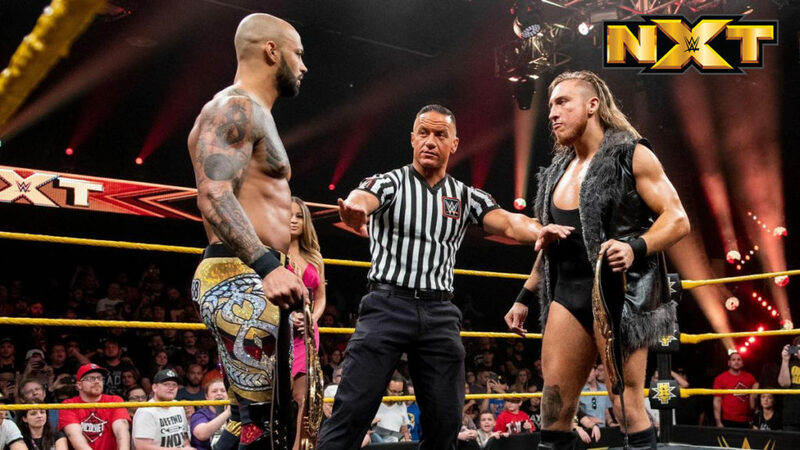 Tonight, the biggest match in NXT history will take place: Dunne vs Ricochet, title for title. Good match. Purrazzo spent the majority of the time in the ring for her team. She looked good, out-wrestling Aliyah and Evans even though the match was still competitive. Purrazzo started to get in trouble late in the match, so Dakota Kai came in with a nice burst of offense (and kicks). I liked the finish to the match as well. It was smart (both for continuing a feud and for the characters involved). Velveteen Dream says he has been carrying his momentum since defeating EC3 by defeating Johnny Gargano. Dream then refuses to answer any questions related to the attack on Aleister Black. The Street Profits explain why they are so angry that The Mighty took their chains. Last week, Sarah Schreiber asked Bianca Belair about her matcth Nikki Cross. Belair says Cross is crazy, but she won’t back down. She’s also still undefeated. Squash. Ryker has a strong style, but we’ll see how that translates in an actual, competitive match. Candice LeRae tells William Regal that she didn’t see who attacked Aleister Black. She has an idea of who might have done it though. Regal says there’s nothing to implicate Tommaso Ciampa, but he wonders where Johnny Gargano was at the time. LeRae gives her husband an alibi. Pete Dunne gets ready. So does Ricochet. Clips of how Pete Dunne and Ricochet ended up competing for each other’s title tonight. Great match! Dunne started strong with a lot of punishing holds. Ricochet tried to hold his own, but Dunne continually got the better of him. As the match progressed, Ricochet began to et some space for dives, and he hit some big moves on Dunne. The match went back and forth, and there were some very impressive sequences. The finish didn’t entirely surprise me, and even though there wasn’t a clear winner, it didn’t hurt my enjoyment of the match up until that point. Another good show. It maybe felt like they didn’t keep their promise with such a big match ending the way it did, but it was still a lot of fun to watch. Definitely one of the better WWE matches this month.